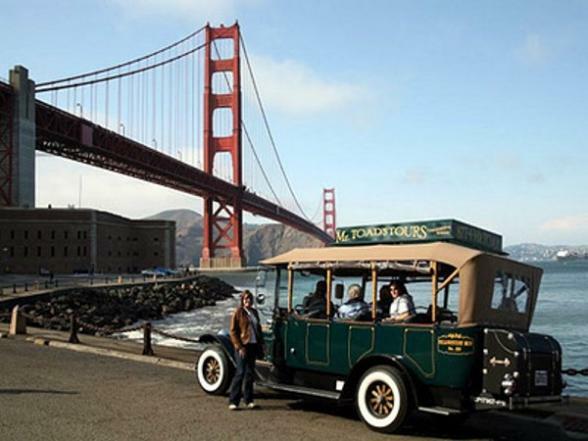 Your personalized tour will take you to see the most fascinating and memorable areas of San Francisco and you'll go up and down hills that none of the buses can go up. See the sights that make San Francisco famous while you tour through a combination of historical locations, movie scenes, and local hangouts. The views from Mr. Toad's open-aired vehicles are second to none and allow for breathtaking photographs and unforgettable memories. Chinatown: Go Tea-Tasting with Toad on our early tour! This tour is very flexible and will depend on the weather. We do provide blankets, heaters, and side-curtains for cooler nights. Tour Schedule: Winter 5pm and 6pm. Summer 7pm and 8pm. 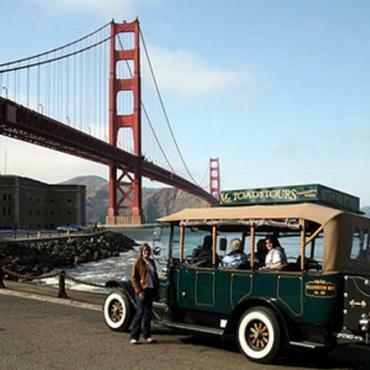 Tour Departs from: The Hop Around the City Tour departs daily from Fisherman's Wharf, 2699 Mason Street, San Fran, CA 94133.